When you are preparing for a new swimming pool installation, you will have many factors to consider. A pool contractor in Salt Lake City can help you with every aspect of your swimming pool design, including the size and shape of your pool, as well as your water features. Pool covers are essential features for any pool installation. With the right pool cover, you can enhance the safety of your pool, while also protecting your pool tile and materials from damage. To help you with your purchase, here is a look at some factors to consider when selecting a cover for your swimming pool. 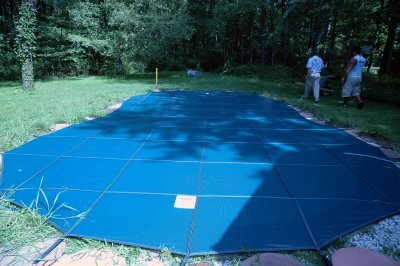 Mesh swimming pool covers are among the most popular types of pool covers available. When you choose a mesh swimming pool cover, your cover will be very light and easy to remove from the surface of the swimming pool. During the winter months, a mesh pool cover will also allow rain and snow to transfer through its surface, eliminating the need to remove excess water after a storm. For the ultimate level of protection and safety for your swimming pool, you may want to choose a solid swimming pool cover. With a solid swimming pool cover, your pool area will be completely sealed off from outside elements. This type of swimming pool cover will also protect your pool water from bacteria and algae, ensuring that you will have less maintenance when you reopen your pool in the spring. Ultimately, the type of swimming pool cover that you choose for your pool will be up to you as a pool owner. Mesh pool covers offer fantastic ease of installation and removal, and can also reduce maintenance during the winter season. With a solid swimming pool cover, you may cut down on your pool cleaning in the long run. Your pool contractor will be able to answer any questions that you may have about choosing the best cover for your pool. A hot tub installation will provide you with spa-like relaxation at home. To keep your hot tub in great condition for many years to come, you will need to avoid some common hot tub maintenance mistakes. For example, neglecting to check the chemistry in your hot tub could lead to calcium build up, corrosion, and other issues. With a simple test kit from a swimming pool company, you will know precisely which chemicals need to be added to your water. A company offering hot tub installation near Salt Lake City can assist you with all of your spa and swimming pool maintenance needs. For a closer look at some of the fundamentals of hot tub care, check out this video. A pool installation will provide countless outdoor recreation opportunities for you and your loved ones. If you are the parent of small children, it is of the utmost importance that you keep your young ones safe when they are playing in or around your pool. To help boost the safety of your pool, you may want to ask your pool contractor in Salt Lake City to incorporate safety features into your design. For example, your swimming pool builders can include pool covers and fences that will protect young children from accidental injury around the pool. To help you prepare your family for your pool installation, here are some tips for setting pool safety rules. One of the fundamentals of pool safety is to make sure that children are supervised at all times when they are using the pool. When your children are swimming or playing near the pool, you will want to make sure that there is a responsible adult in charge. With adult supervision, you can keep an eye on children as they play. Along with making sure that children are always supervised, you may also want to set safety rules regarding play and conduct around the pool. For example, you can set a rule that prevents running or roughhousing near the pool. Additionally, pushing and other behaviors should also be discouraged. By keeping play and activities calm and controlled, you will be able to help prevent an accident around your pool area. Diving is a swimming pool activity that can be enjoyed by family members of all ages. 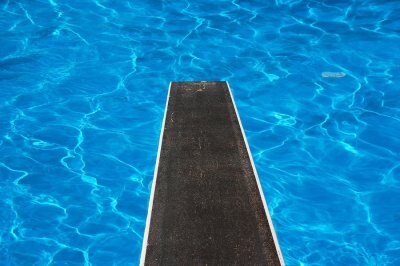 However, if a swimmer dives into a shallow area of a pool, serious injury could occur. To allow children and adults to dive safely, you may want to consider designating a dive area on the deep end of the pool. Diving should be off-limits in shallow pools, or in spaces where other water features are present. By setting pool rules, you can enjoy many years of fun and safe play in your backyard pool. 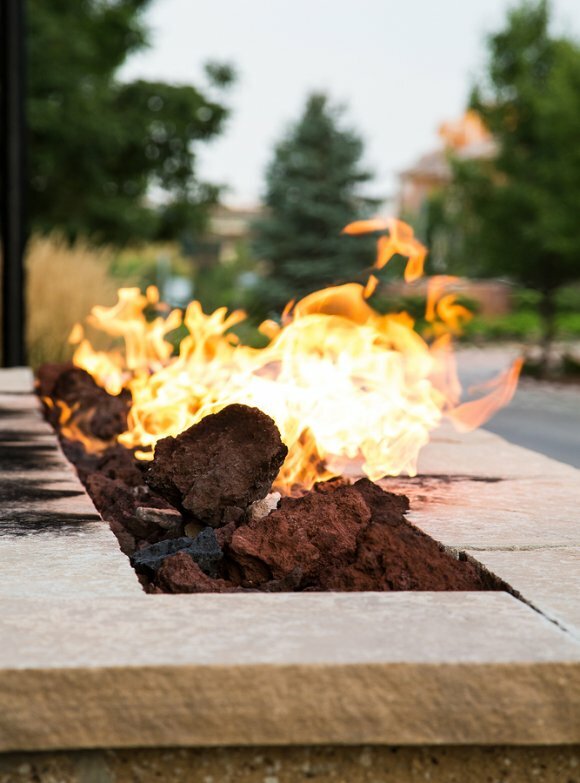 As you are preparing for a swimming pool installation serving Salt Lake City, you may want to talk to your swimming pool builders about incorporating exciting outdoor fire features in your design. By including an outdoor fire pit near your swimming pool or hot tub installation, you will create a natural gathering place in your backyard. In addition, an outdoor fireplace can offer you cozy comfort and warmth on a chilly fall night. Fire features are also natural additions to an outdoor kitchen design. As you are planning out spaces for your grill, bar, and prep areas, you may want to incorporate seating around a luxurious outdoor fire pit installation. For those homeowners who are avid chefs, outdoor ovens and barbeques can be used to create tasty outdoor meals. With the assistance of pool and spa designers serving your local area, you will be able to incorporate the perfect fire features in your newly updated backyard.